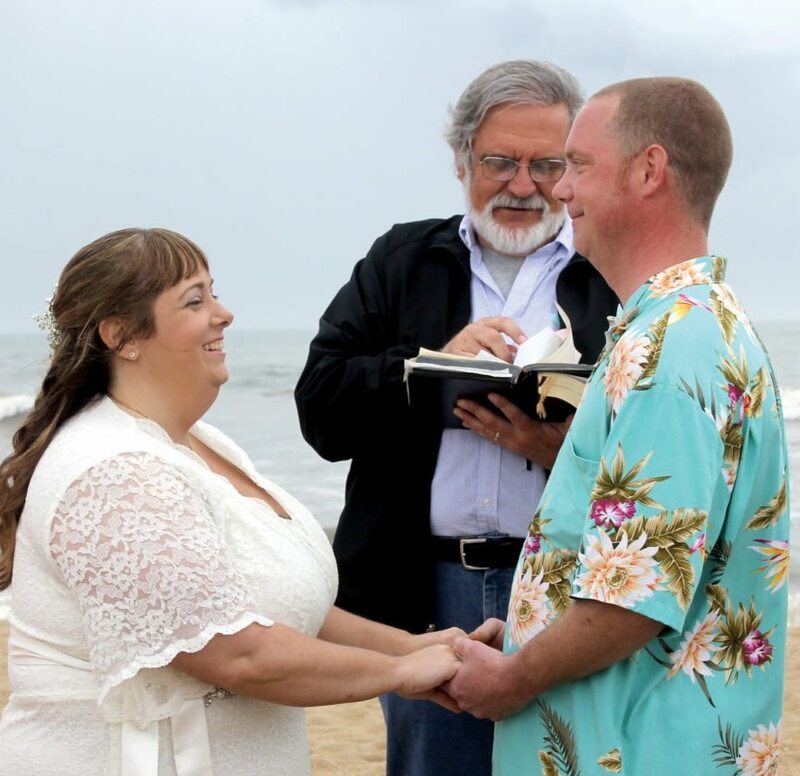 Peter Andrew “Andy” Purdy and Melissa Kay Sayres were married during the afternoon of May 5 by the ocean in Kill Devil Hills, North Carolina, by their minister, the Rev. Dr, William E. Calhoun of Elkins. The bride was escorted across the beach walkway by her college friend, Ed Cole of Morgantown. She was given in marriage by her brother, Jimmy Sayres. The bride’s dress, made of ivory crystal lace, featuring a sweetheart neckline and empire-style waist, gathered with ivory satin ribbons with rhinestone embellishments. She carried a bouquet of her favorite daisy flowers, entwined with baby’s breath and coral roses. Jennifer LaRosa Ward, friend of the bride, attended as matron of honor, and Delaney Ann Sayres, niece of the bride, was the bridesmaid. Both wore crocheted dresses of coral color, featuring ribbon-cinched three-quarter sleeves, and carried bouquets of daisies and baby’s breath. Emily Ward, daughter of Chris and Jennifer Ward, all of Clarksburg, carried an aqua sand bucket styled with seashells and cream and aqua ribbon embellished with Swarovski crystals. She wore an original Hawaiian print dress in aqua blue. A surprise colony of seagulls helped her scatter the rose petals. Pete Purdy, father of the bridegroom, served as best man, and Maurice Brown and Phillip Lee served as groomsmen. 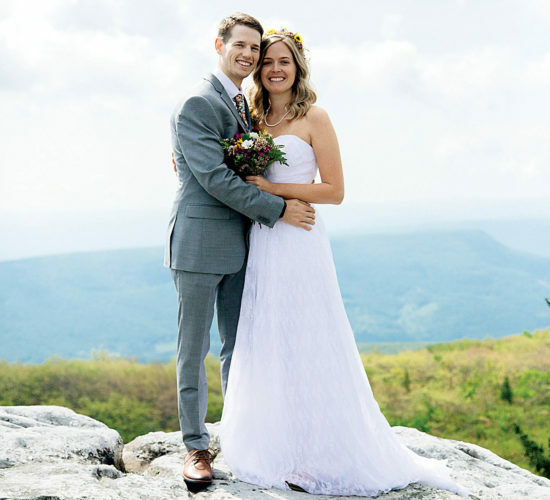 Conley Cooper, son of Becky Hokanson Cooper and Jason Cooper, carried the wedding rings on a pillow made of burlap accented with seashells and rawhide rope trim. All of the men including the ring bearer were dressed in khaki pants and an original Hawaiian print shirt that also matched the flower girl’s dress. The bride and bridegroom were barefoot on the beach as they exchanged their vows to each other. 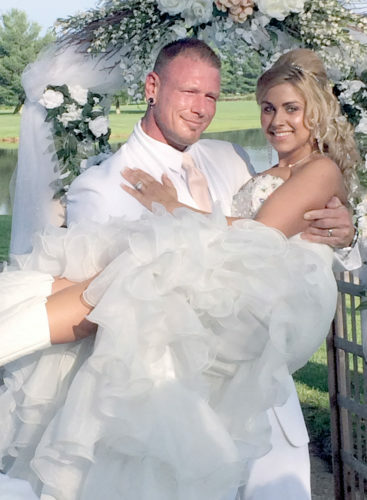 They wrote their own vows and faced those in attendance as they read their vows aloud together. Then the rings were exchanged and blessed as the couple had a large flock of pelicans flying behind them. Next a special song, “All I want is You” by U2, was played on acoustic guitar and sung by Jimmy Sayres especially for the bride and bridegroom. 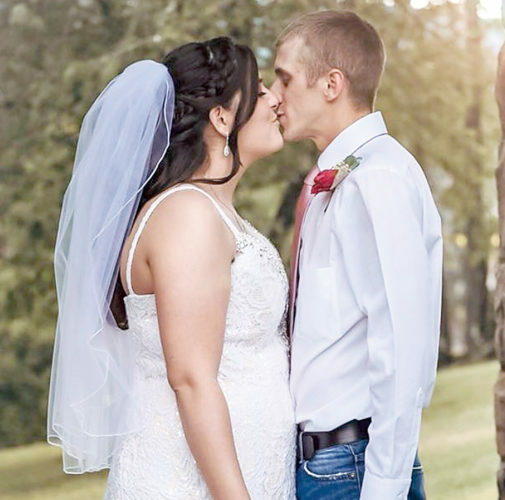 The ceremony concluded with a prayer, the pronouncement of husband and wife and the kissing of the bride. The postlude music was provided by Jimmy Sayres playing acoustic guitar, featuring “You Are the Sunshine of My Life” by Stevie Wonder. The three-tiered aqua wedding cake made of white chocolate cake with raspberry filling and butter cream icing was decorated with white chocolate molds of seashells and starfish. The cake topper was a large seashell with two starfish linked together. There were two Adirondack-styled chairs with the bride’s and bridegroom’s name written on each chair at the base of the cake along with brown sugar that represented sand. There was a heart drawn in the sand with the initials of the bride and bridegroom. The cake was designed and made by Becky Hokanson Cooper. They were honored to have her parents, Paul and Pam Hokanson, in attendance to assist and join in on the special day. 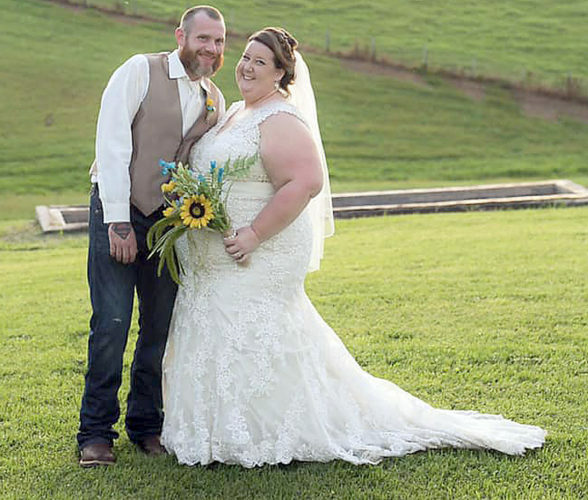 The couple shared their first dance as husband and wife to one of their favorite songs, “Wonderful Tonight,” by Eric Clapton. The bridegroom’s parents, Pete and Sue Purdy of Beverly, hosted the rehearsal dinner at Mulligan’s Raw Bar & Grill at Croatan Highway in Nags Head. Guests enjoyed the candlelight dinner including bacon wrapped shrimp, Greek egg rolls with basil marinara, strawberry and feta salad, crab-stuffed flounder, pasta alfredo with blackened chicken, buttermilk and black pepper mashed potatoes, grilled green beans, rolls and carrot cake and key lime dessert tarts. 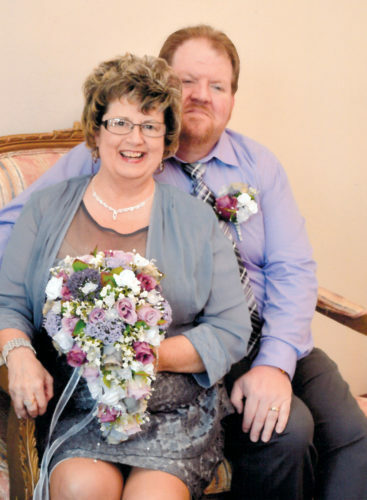 The couple traveled to Cozumel, Mexico, for their honeymoon.